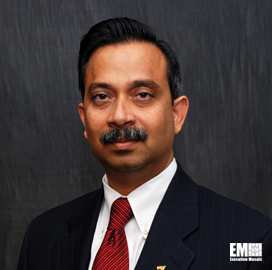 Pv Puvvada, acting president of Unisys‘ (NYSE: UIS) federal systems business since July 2014, has been appointed to the president role on a full-time basis. The 23-year company veteran will lead the organization’s work to deliver security, communications, big data, mobile and cloud computing products in the federal market, Unisys said Wednesday. Peter Altabef, president and CEO of Unisys, said Puvvada brings “strong leadership skills with an unerring focus on innovation and client satisfaction” to his new role. Puvvada has served as a managing partner and chief technology officer at Unisys Federal Systems for five years before he was appointed vice president for Unisys’ federal civilian agency unit in 2010. He also serves on the Professional Services Council’s board of directors and is a former chairman of the Industry Advisory Council. Executive Mosaic selected Puvvada to its Wash100 list in 2013.